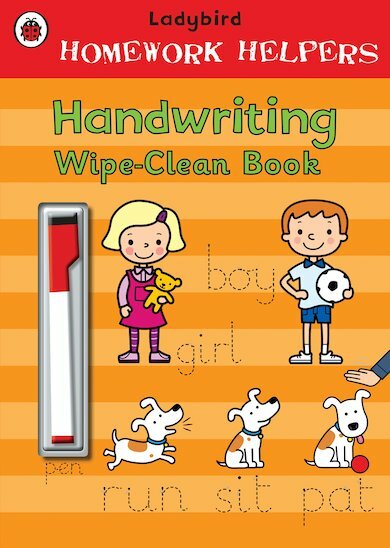 Help your child to acquire and improve handwriting skills with this fantastic wipe-clean activity book, complete with a special pen. Draw common letter shapes and practise writing out first words on the colourful pages. Then simply wipe clean and start again! Letters that are formed in a similar way are grouped together, letting youngsters try out the correct handwriting movements over and over, while a comprehensive parents’ note helps you to get the most out of the book. Special advice for left-handers is also included. Trust Ladybird to give you a helping hand!